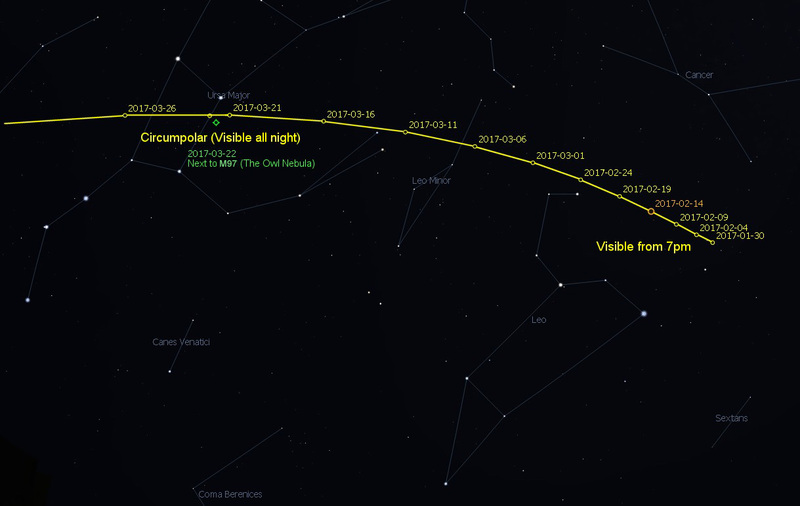 There’s already a strange story behind comet 41P/Tuttle-Giacobini-Kresák, or just 41P: It took almost 100 years to identify and occasionally flares. And now, its spin is rapidly slowing down. Scientists across the world observed 41P when it approached Earth in 2017—it was close enough and bright enough to see with binoculars. One team of scientists, from the University of Maryland, watched the comet’s rotation rate drop rapidly, from one rotation every 20 hours to one every 46 hours. This is larger than any change in comet rotation measured yet, and it could help scientists learn more about how comets evolve over time. 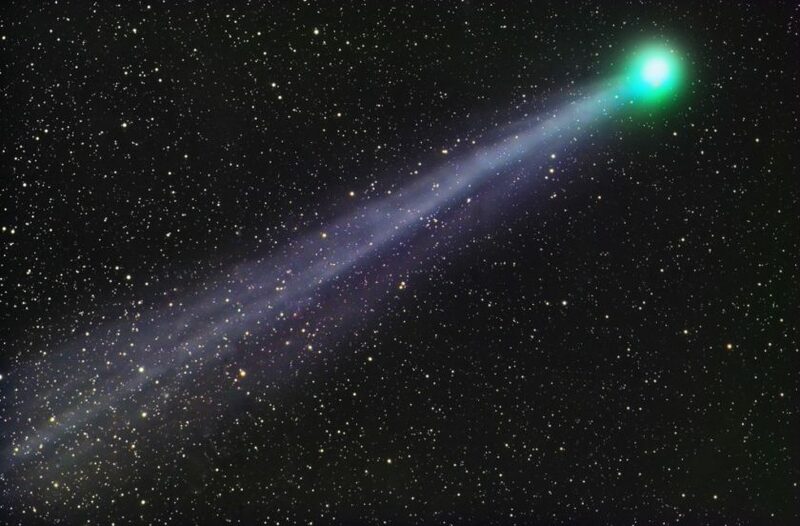 Comets are ancient hunks of ice and dust that orbit the Sun—41P’s orbit takes around five years. Typically, things that revolve around the Sun constantly rotate, like our own Earth does, around a single axis. But comets aren’t planets. Gas streaming off of these rocks produces torque, or a rotational force. Think about popping a hole in a balloon tied to a fan blade—it could make the fan speed up or slow down. Torque that induces a spin speedup can cause the comet to fall apart, but slowdowns can cause the entire comet to change its spinning direction. 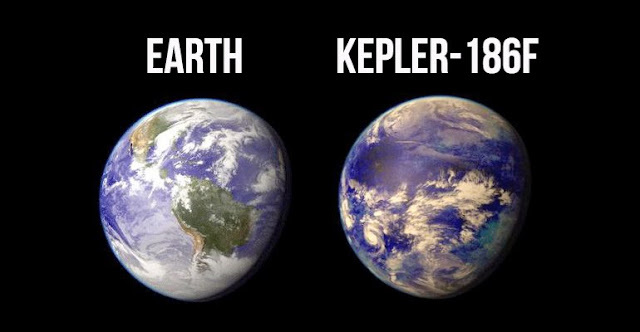 Imagine if one day, the Earth started rotating with a different axis; entire seasons would be different, there would be more or less sunlight depending on where you lived—things would be weird. 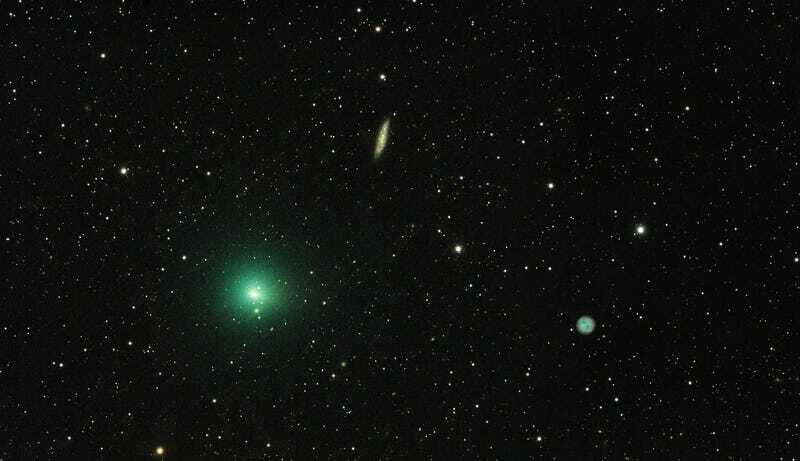 The researchers used telescopes at Lowell Observatory in Arizona and a telescope on the Swift satellite to watch the comet and its stream of gas. The extreme slowdown could have been due to an outgassing in a sort-of sweet spot, like hitting a tether-ball in the exact right place to slow down its spin. Their modeling has also predicted that the comet could have slowed down by yet another factor of two, to a period of 100 hours, and that would have been much faster during earlier appearances near Earth. They published their research in Nature today. 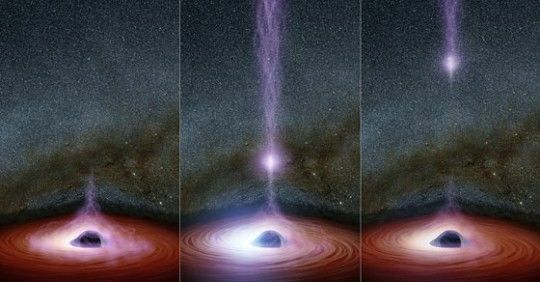 Jessica Agarwal, researcher from the Max Planck Institute for Solar System Research, points out that this means a few things: one, the comet might have once spun much faster, explaining some bright outbursts other astronomers have seen in past visits, according to a commentary also published in Nature. On the other hand, if the comet continues to slow, it may soon wobble like a top and spin in another direction—exposing different parts to different levels of heating from the sun. In other words, maybe other comets act weird like this, too. Scientists just haven’t observed them, yet.